Rabbi David Stav defends Chief IDF Rabbi appointee from media attacks; expresses displeasure at recent appointments for Rabbinical Court. 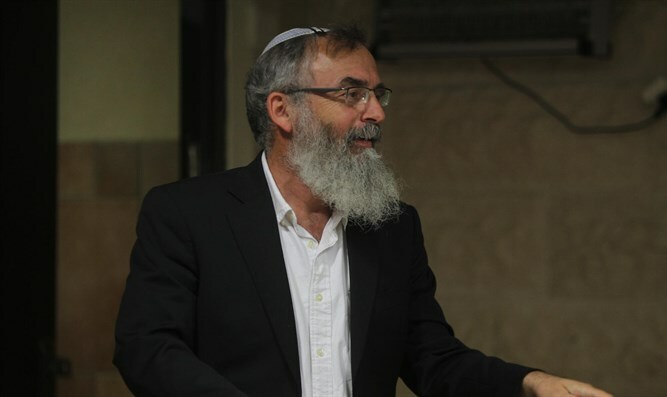 Rabbi David Stav, one of the heads of Tzohar, spoke about the recent media offensive against Chief IDF Rabbi appointee Rabbi Eyal Karim, in an interview with Army Radio this morning (Wednesday). "The IDF is fortunate to have a man who fought for his country, a Zionist, a Torah scholar; a moral, moderate man," he said in the interview. Rabbi Stav expressed support for Rabbi Karim's character and views, saying "there is no rabbi in the world who'll say that military orders trump Jewish law. There is no religious person in the world who wouldn't say that religious morality doesn't trump army directives when the two are in conflict. The goal is to ensure that such conflicts don't come about." Later in the interview Rabbi Stav leveled criticism at Justice Minister Ayelet Shaked (Jewish Home) in regard to the recent appointment of new judges to the Supreme Rabbinical Court, not enough of whom are from the Religious-Zionist camp, according to Rabbi Stav. "Shaked has caved to the demands of haredi lobbyists. She had the power to do more, Jewish Home can also threaten to leave the government." The Tzohar Rabbinical group, which is associated with the Religious-Zionist camp and dedicated to "nurturing moderate Rabbinic leadership," has clashed with the haredi political party's over its demands for more Religious-Zionist judges to be appointed to the Supreme Rabbinical Court, whose rulings on controversial issues have been strongly criticized by Rabbi Stav and Tzohar.